Nominations for the 91st annual Academy Awards were unveiled today (Tuesday 22nd January) by Tracee Ellis Ross and Kumail Nanjiani, with Netflix’ Roma and black-comedy The Favourite leading with ten nominations each. Following a win at the Golden Globes, black-and-white Spanish drama, Roma, is expected to take home the Best Picture trophy, as is its director Alfonso Cuarón, who also nabbed screenplay and cinematography nominations. This marks Netflix’ first major Oscar nomination following last year’s win for Best Documentary with Icarus. The Favourite saw its three leading ladies – Olivia Colman, Emma Stone and Rachel Weisz – nominated, although Glen Close (The Wife) and Regina King (If Beale Street Could Talk) are likely to pip the royal trio in their respective categories. 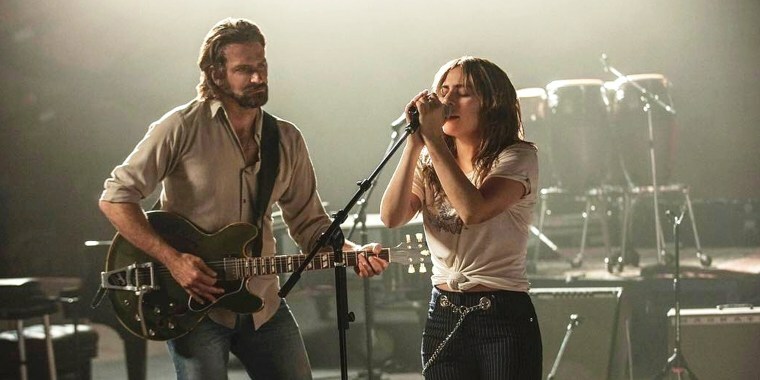 Lady Gaga also became a double Oscar nominee for her acting and vocal work in A Star is Born, which tallied seven nominations in total. Marvel Studios’ Black Panther became the first comic book movie to land in the Best Picture race, following historical snubs for The Dark Knight. The ninth-highest grossing movie of all time will compete against Bradley Cooper’s A Star is Born (with Cooper controversially missing for director) and Green Book, which has been heavily criticised for its racial politics. Although, Mahershala Ali is widely tipped to take home his second Best Supporting Actor for his portrayal of pianist Don Shirely in the film (Ali previously won for Moonlight). As ever, the Academy sidestepped some critical favourites with Eight Grade, Hereditary, Widows, Leave No Trace and The Rider left empty-handed. Despite Greta Gerwig’s 2018 nomination, no female director cracked the top five this year, with the Academy instead handing first time nominations to Spike Lee, Pawel Pawlikowski and Yorgos Lanthimos. Scroll below for the full list of nominees, competing across 24 categories. To see who takes home a statue, tune in to the Oscar’s live on Sunday 24th February on Sky Cinema.